SuggestADoctor.com is the unique experience sharing portal recommending good Medical doctors in the United States! Do you have a great medical doctor to recommend? Or do you know any physicians personally? Share your doctor experience with all of us and Suggest A Doctor! Are you a doctor? List yourself in our site for free, letting the whole world know about you and your practice. If you have a health concern and are looking for a excellent doctor to trust with your medical needs, you can search in our site database to find doctors with names, locations, specialities, CVs, browse through other patients' experience and find a doctor according to 'Tag Words' related to your health needs and illness symptoms. Search for free! Search now. Currently 547 visitors online at SuggestADoctor.com. SuggestADoctor.com is free portal in which YOU can share YOUR experiences with your Medical Doctors and suggest Doctors to other visitors. We host thousands of patient reviews and recommendations about the best doctors in the country. If you are happy with the services of any Medical Doctor, you can Suggest the Doctor to our other visitors. 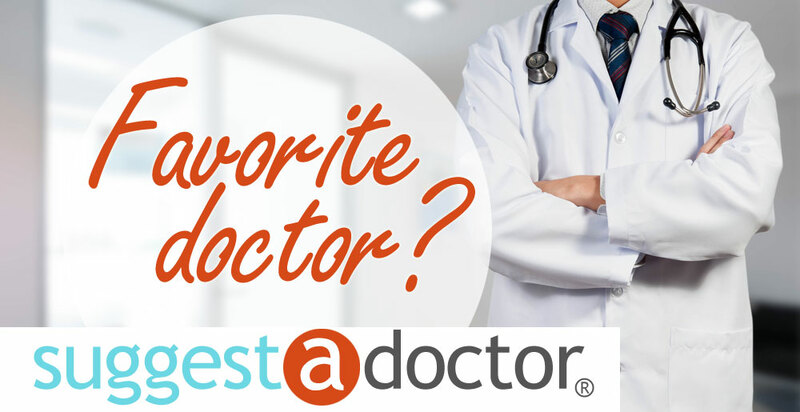 Recommending your doctor in our listing is a wonderful 'Thank You' gesture for your MD and is also helpful to our site visitors who share similar health problems and seek a doctor. Your recommendation will help other patients to receive the best health care service from the correct MD. Our mission is twofold: to honor best doctors in USA who are making a positive impact on their patients and to help patients find doctors for their health concerns. Dr. Paige Camp, Marietta Dermatology, is indeed a lifesaver. Each time I visit, I am treated as if I am the most special person in the world. I am examined with utmost care and professionalism for skin cancers for which I am grateful. Two cancers and two resulting surgeries have kept me in great health. She empowers her patients by instructing them in pro-active skin care and has Touch-screen monitors in the patient care rooms that enable you to select a topic of interest and receive educational feedback immediately. I really didn’t think using SPF and checking for skin abnormalities was that important. Let me tell you, it is! She has created a professional environment that ensures a better patient experience, a pleasant waiting area, TV; everything one needs to be comfortable. (However, I have never waited long before I am called in to see the doctor). Do I recommend Dr. Camp and her staff as a highly recommended dermatology/cancer practice? You bet my life I do. Is this Review about Paige Bloodworth CAMP helpful to you? Is this Review about Vaydor Frank CODY helpful to you? Dr. Bowman was the first ob who really listened to my concernes. I'm young to have a hysterectomy but I've had problems since I started puberty and at 35 with new problems I was done. I saw a midwife (Jensen) at her office, who was also amazing, and together they fought to get my insurance to approve my hysterectomy. She has personally called 2x to follow up within the 1st week after surgery. I've never had this before, maybe their office will call but not the doctor themselves. Professional and great with my spouse, no judgement being he is transgender. Really great! Is this Review about Jane BOWMAN helpful to you? Is this Review about William MCBEE helpful to you? Dr Barnes performed my hysterectomy due to Endometriosis. He explained that Endometriosis can act like cancer in how it spreads and grows, which is why I was referred to him. He was sure to answer all of my questions prior to my surgery, and called me the day before to check in to let me know he was thinking of me and to see if I had any extra questions. His bedside manner is superb. Is this Review about Mack Nathaniel BARNES helpful to you? Dr. Munoz is a very knowledgeable, thorough and caring physician. The complexity of my surgery was unforeseen until I was in the operating room. As a person in the healthcare industry, I understand that there are always risks when it comes to surgery, even with the best doctors. He was able to take care of the situation and kept my family informed through the entire process. He was also very thorough and reassuring during post-op visits. I have recovered very well, as a result of his care. His pleasant and kind demeanor was extremely contagious and made my doctors' visits enjoyable, which is pretty amazing given the nature of my situation. My husband was with me at every visit and he had the same impression of Dr. Munoz. I am very grateful that he was my surgeon and would trust and highly recommend him to all of my friends and family. Is this Review about Alan Kirt MUNOZ helpful to you? I can recommend Dr. Varner and his staff personally. Surgery recently 7/02/18. Home in recovery. Dr Varner was recommended highly by my OB/GYN as the best person for my vaginal prolapse. Traveled over 2hrs for my appt. and scheduled surgery. Worth every mile. Highly skilled, patient, kind, knowledgable and able to communicate pros & cons. My husband attended and was able to ask some questions also. UAB hospital staff were excellent in their attention and care. Highly recommend. Dr Varner’s staff, associates and residents were the best I have ever witnessed. Is this Review about Robert Edward VARNER helpful to you? Dr. And team are very attentive and passionate. Is this Review about Eric BEIGHTS helpful to you? Dr Beights is top notch. Caring, competent and friendly. You can tell the MD really cares for his patients. Everything was explained to my complete satisfaction. I have already recommended this office to several friends. Office personnel also great. I seen Dr. Gregg L. Friedman MD, a psychiatrist in Hallandale Beach 5 times. He is a kind man with a sweet heart. I give him a thumbs up great rating. 5 Stars. Is this Review about Gregg Lowell FRIEDMAN helpful to you? I chose Dr Miklos for his experience and at the recommendation of a family friend who is also a urogynecologist who said "Dr Miklos is considered one of the best surgeons in the world". He is smart, knowledgable and confident. Thanks Dr M.
Is this Review about John MIKLOS helpful to you? I just completed my second Mona LIsa treatment. I have had great results. I have been intimate with my husband for the first time in many years, painfree and enjoyable. Dr. McIlveen is very kind and has a great bedsife manner. His staff and him are wonderful during the procedure very attentive to your needs and comfort. My one recommendation is that more people need to know about this procedure, it solves alot of issues for women. I wish I had done it years agao. Is this Review about Peter MCILVEEN helpful to you? She performed a robotic laparoscopic hysterectomy for multiple fibroids. I was initially reluctant to get hysterectomy and so she was willing to monitor my fibroids over a 9 month period. I felt she respected my concerns while being straightforward about her medical recommendation. Also, even though I’m 67, I told her I wanted to keep my ovaries because hormonal testing showed I was still producing testosterone. She was willing - and did - to preserve my ovaries if everything looked good at surgery time. She callled me with pathology report soon after surgery. And she has been available to me when I needed to discuss critical issues. She’s just a great doctor, skillful with an ability to listen to her patients. Is this Review about Karen Sue ADDIS helpful to you? Dr. Inna Gellerman is a Board Certified Orthodontic Specialist who specializes in dental care for children, teens and adults in Long Island. Take the first step toward the smile of your dreams by visiting world-class Long Island dental facility, Gellerman Orthodontics. They specialize in sleep apnea treatment for patients of varied ages. Is this Review about Inna GELLERMAN helpful to you? Is this Review about Todd Earl NIXON helpful to you? Dr. Stewart listened to me and did not doubt the pain I was in even though I was a new patient and she had no prior history with me. She acted quickly and knowledgeably to treat my Polycystic Ovarian Syndrome with a laparoscopic hysterectomy. She has a compassionate yet straightforward bedside manner that I greatly appreciate and is secure enough to ask for help when needed in surgery. Is this Review about Deanna K STEWART helpful to you? Dr. Robert Morin is a leading provider of breast augmentation, craniofacial surgery and rhinoplasty procedures in New York. His work has been featured in multiple publications and symposiums. Is this Review about Robert J. MORIN helpful to you? Great understanding of endocrine system. Has taken excellent care of my health and wellness. Is this Review about Rosemarie LAJARA helpful to you? If you need a compassionate, extremely intelligent, up to date on/or coming up with new ways for a gynecologic oncologist, this man is unbelievable. He is definitely one of a kind in a world of hurry up and get to the next. He is so awesome. The first time I met him my fears of having cancer and the need for surgery left. He is genuine, caring, and above the top of his profession. Trust him and his hands. I was diagnosed with endometrial cancer and Dr Krivak did a robotically assisted total hysterectomy, BSO, tubes and cervix. Is this Review about Thomas KRIVAK helpful to you? Dr. Price has been my OB/Gyn for several years. Delivered my last chicks and also performed my total hysterectomy. He is such a kind and caring person with a bedside manner to die for! He genuinely cares fo his patients and is an outstanding physician. I recommend him to anyone seeking obstetrics and gynecology care. Is this Review about Matthew PRICE helpful to you? Brief Overview of Treatment Options For Heavy Periods. SuggestADoctor is NOT affiliated with any doctors or health related companies/organizations. We are an impartial portal whose goal is to share patients' experiences and recommendations of their Medical Doctors [More Info]. All times are GMT +2. The time now is 04:26 AM. Copyright © 2006 - 2009 SuggestADoctor.com.